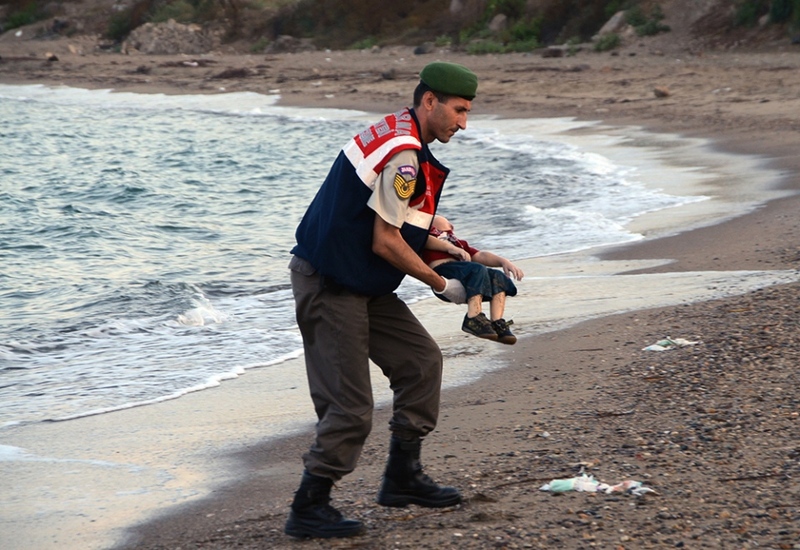 It’s been three years since young Syrian boy Alan Kurdi died while crossing the Aegean Sea and the images of his lifeless body on a Turkish beach sparked an outcry around the world. Since Alan’s death, his aunt Tima Kurdi -- who paid for the family's doomed journey to Europe -- has used the tragedy to promote positive change for children affected by the Syrian refugee crisis. “For my nephew, he was only two years old -- he was a happy boy and he had hope -- but was too young to communicate his hope. So for me, after his death, in his memory we decided that we would help the children affected by war no matter what,” said Kurdi in an interview with CTV News Channel. Eleven refugees died in the September 2015 tragedy, including Kurdi’s brother Abdullah's wife, Rehanna, and his two young boys, Ghalib and Alan. In Ghalib and Alan’s honour, Kurdi created the Kurdi Foundation to provide aid including nutritious meals, school supplies, clothing, and medicine to youth in refugee camps. Kurdi said what the Syrian community wants most is peace, but she doesn’t believe that’s possible without international pressure. “The world leaders need to sit down at the table and negotiate a peaceful solution so people can go home and rebuild their lives,” said Kurdi. The struggles her family faced as Syria plunged into civil war is the subject of her recent memoir "The Boy on the Beach: A Syrian Family's Story of Love, Loss and Hope During the Global Refugee Crisis." She hopes her book furthers awareness of the plight of refugees. Tima Kurdi, aunt of drowned Syrian boys.